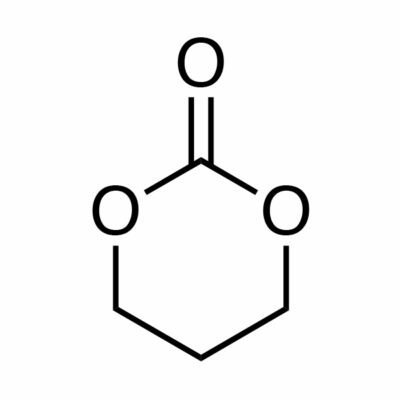 1,4-Diisocyanatobutane ( Cas 4538-37-8) was used in over 8 studies because of its proved non-toxic effects on human health. These studies comprehend early research studies about biodegradability/ biocompatibility, In-Vivo studies, and several field studies. Importantly is to take into account the quality of the product as prelimanary starting materials or catalysts could have an influence on the outcome of a research project. As a result we offer a purity of 99,7% 1,4-diisocyanatobutane. Both LDI and BDI prepared polyurethanes are promising polymers for biomedical applications In addition, their non-toxic chemistry is a promising feature for their role in biomedical materials. Whereas LDI is already a highly used monomer, BDI has also shown promising features. The main advantage of BDI over LDI is its symmetry. Recent publications have proven that polyurethanes prepared with BDI are excellent for bone tissue engineering and soft tissue engineering like cardiovascular tissue engineering. As there more academia become aware of the abilities with BDI the industry still has to follow-up. 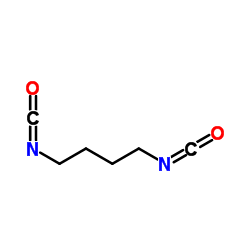 HDI (hexamethylene diisocyanate) Upon degradation diamines are released, a product which is noted to be toxic for several human organs such as the liver and kidney. IPDI (Isophorone diisocyanate) The degradtion product of IPDI is less toxic than aromatic isocayanates. 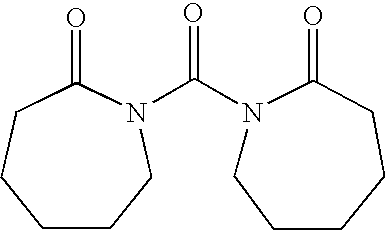 LDI (lysine diisocyanate) Upon degradation LDI would degrade into lysine, a non-toxic by-product. TDI (toluene diisocyanate) Like other other aromatic diisocyanates TDI has been noted to release aromatic diamines, a toxic degradation product known to stimulate carcigogenesis and mutagenesis. Yin, J. (2012). Lysine based amorphous polyurethanes decorated witn pendant bio-active groups Groningen: s.n. Degradable polyurethanes (PUs), based on aliphatic diisocyanates, can be very useful in tissue regeneration applications. Their long-term in vivodegradation has not been extensively investigated. In this study a biodegradable PU with copolyester soft segments of DL-lactide/?-caprolactone and hard segments synthesized from 1,4-butanediisocyanate was evaluated with regard to tissue response during degradation and, ultimately, the resorption of the material. Highly porous PU foam discs were subcutaneously implanted in rats and rabbits for intervals up to 3 years. A copolymer foam of DL-lactide and ?-caprolactone served as a control. The foams, the surrounding tissues and the draining lymph nodes were evaluated with light and electron microscopy. In the first stages of degradation the number of macrophages and giant cells increased. As the resorption stage set in their numbers gradually decreased. Electron microscopy showed macrophages containing pieces of PU. The size of the intracellular PU particles diminished and cells containing these remnants gradually disappeared after periods from 1 to 3 years. After 3 years an occasional, isolated macrophage with biomaterial remnants could be traced in both PU and copolymer explants. Single macrophages with biomaterial remnants were observed in the lymph nodes between 39 weeks and 1.5 years following implantation. It is concluded that the PU foam is biocompatible during degradation. After 3 years PU samples had been resorbed almost completely. These results indicate that the PU foam can be safely used as a biodegradable implant. obtained with open and interconnected pores having sizes ranging from several mm to more than 150 mm and porosities of 8097%. that both scaffolds supported cell adhesion and growth, with smooth muscle cells growing more extensively in the PEEUU scaffold. engineering or other soft tissue applications. Many polyurethane elastomers display excellent mechanical properties and adequate biocompatibility. 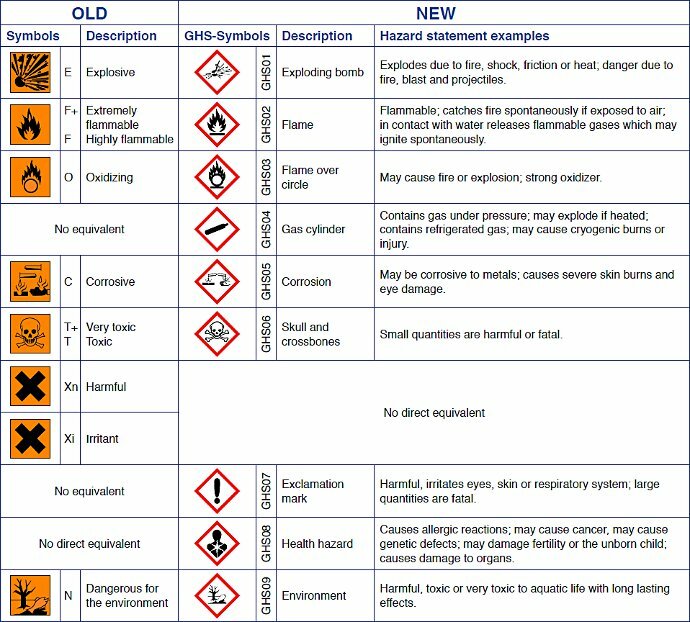 However, many medical-grade polyurethanes are prepared from aromatic diisocyanates and can degrade in vivo to carcinogenic aromatic diamines, although the question of whether the concentrations of these harmful degradation products attain physiologically relevant levels is currently unresolved and strongly debated. It is therefore desirable to synthesize new medical-grade polyurethanes from less toxic aliphatic diisocyanates. In this paper, biocompatible segmented polyurethane elastomers were synthesized from aliphatic diisocyanates (1,4-diisocyanatobutane (BDI) and lysine methyl ester diisocyanate (LDI)), novel diurea diol chain extenders based on tyrosine and tyramine, and a model poly(ethylene glycol) (PEG) diol soft segment. The objectives were to design a hard segment similar in structure to that of MDI-based polyurethanes and also investigate the effects of systematic changes in structure on mechanical and biological properties. The non-branched, symmetric polyurethane prepared from BDI and a tyramine-based chain extender had the highest modulus at 37 °C. Introduction of symmetric short-chain branches (SCBs) incorporated in the tyrosine-based chain extender lowered the modulus by an order of magnitude. Polyurethanes prepared from LDI were soft polymers that had a still lower modulus due to the asymmetric SCBs that hindered hard segment packing. 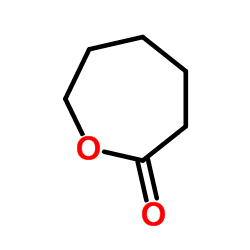 Polyurethanes prepared from tyramine and tyrosine chain extenders thermally degraded at temperatures ranging from 110 to 150 °C, which are lower than that reported previously for phenyl urethanes. All four polyurethanes supported the attachment, proliferation, and high viability of MG-63 human osteoblast-like cells in vitro. Therefore, the non-cytotoxic chemistry of these polyurethanes make them good candidates for further development as biomedical implants. Polymers with elastomeric mechanical properties, tunable biodegradation properties and cytocompatibility would be desirable for numerous biomedical applications. Toward this end a series of biodegradable poly(ether ester urethane)urea elastomers (PEEUUs) based on poly(ether ester) triblock copolymers were synthesized and characterized. Poly(ether ester) triblock copolymers were synthesized by ring-opening polymerization of ?-caprolactone with polyethylene glycol (PEG). PEEUUs were synthesized from these triblock copolymers and butyl diisocyanate, with putrescine as a chain extender. PEEUUs exhibited low glass transition temperatures and possessed tensile strengths ranging from 8 to 20 MPa and breaking strains from 325% to 560%. Increasing PEG length or decreasing poly(caprolactone) length in the triblock segment increased PEEUU water absorption and biodegradation rate. Human umbilical vein endothelial cells cultured in a medium supplemented with PEEUU biodegradation solution suggested a lack of degradation product cytotoxicity. Endothelial cell adhesion to PEEUUs was less than 60% of tissue culture polystyrene and was inversely related to PEEUU hydrophilicity. Surface modification of PEEUUs with ammonia gas radio-frequency glow discharge and subsequent immobilization of the cell adhesion peptide Arg-Gly-Asp-Ser increased endothelial adhesion to a level equivalent to tissue culture polystyrene. These biodegradable PEEUUs thus possessed properties that would be amenable to applications where high strength and flexibility would be desirable and exhibited the potential for tuning with appropriate triblock segment selection and surface modification. In the engineering of soft tissues, scaffolds with high elastance and strength coupled with controllable biodegradable properties are necessary. To fulfill such design criteria we have previously synthesized two kinds of biodegradable polyurethaneureas, namely poly(ester urethane)urea (PEUU) and poly(ether ester urethane)urea (PEEUU) from polycaprolactone, polycaprolactone-b-polyethylene glycol-b-polycaprolactone, 1,4-diisocyanatobutane and putrescine. PEUU and PEEUU were further fabricated into scaffolds by thermally induced phase separation using dimethyl sulfoxide (DMSO) as a solvent. The effect of polymer solution concentration, quenching temperature and polymer type on pore morphology and porosity was investigated. Scaffolds were obtained with open and interconnected pores having sizes ranging from several ?m to more than 150 ?m and porosities of 8097%. By changing the polymer solution concentration or quenching temperature, scaffolds with random or oriented tubular pores could be obtained. The PEUU scaffolds were flexible with breaking strains of 214% and higher, and tensile strengths of approximately 1.0 MPa, whereas the PEEUU scaffolds generally had lower strengths and breaking strains. Scaffold degradation in aqueous buffer was related to the porosity and polymer hydrophilicity. Smooth muscle cells were filtration seeded in the scaffolds and it was shown that both scaffolds supported cell adhesion and growth, with smooth muscle cells growing more extensively in the PEEUU scaffold. These biodegradable and flexible scaffolds demonstrate potential for future application as cell scaffolds in cardiovascular tissue engineering or other soft tissue applications. After almost half a century of use in the health field, polyurethanes (PUs) remain one of the most popular group of biomaterials applied for medical devices. Their popularity has been sustained as a direct result of their segmented block copolymeric character, which endows them with a wide range of versatility in terms of tailoring their physical properties, blood and tissue compatibility, and more recently their biodegradation character. While they became recognized in the 1970s and 1980s as the blood contacting material of choice in a wide range of cardiovascular devices their application in long-term implants fell under scrutiny with the failure of pacemaker leads and breast implant coatings containing PUs in the late 1980s. During the next decade PUs became extensively researched for their relative sensitivity to biodegradation and the desire to further understand the biological mechanisms for in vivo biodegradation. The advent of molecular biology into mainstream biomedical engineering permitted the probing of molecular pathways leading to the biodegradation of these materials. Knowledge gained throughout the 1990s has not only yielded novel PUs that contribute to the enhancement of biostability for in vivo long-term applications, but has also been translated to form a new class of bioresorbable materials with all the versatility of PUs in terms of physical properties but now with a more integrative nature in terms of biocompatibility. The current review will briefly survey the literature, which initially identified the problem of PU degradation in vivo and the subsequent studies that have led to the fields further understanding of the biological processes mediating the breakdown. An overview of research emerging on PUs sought for use in combination (drug+polymer) products and tissue regeneration applications will then be presented. The goal of this work has been the synthesis of novel materials based on a biodegradable polycaprolactone-blockpolytetrahydrofurane-blockpolycaprolactone diol (PCL-bPTHF-bPCL). The segmented thermoplastic polyurethanes (STPU) have been synthesised in bulk without catalyst at different molar ratios and their characterization has been performed by different techniques. The physic-chemical interactions, responsible for the unique polyurethane properties, have been evaluated by total attenuated Fourier transform infrared spectroscopy (ATR-IR) in the amide I region using a Gaussian deconvolution technique and, on the other hand, atomic force microscopy (AFM) has been employed to determine the phase microstructures. The effect of increase the hard segment content (HS) has been discussed from the viewpoint of the miscibility of hard and soft segments, analyzed by differential scanning calorimetry (DSC), dynamic mechanical analysis (DMA) and thermogravimetric analysis (TGA). The influence of HS content on the microstructuremechanical property relationships has also been investigated. Special attention has been focused on the wettability of the samples, measured through water contact angle measurements (WCA), to determine the tendency for biocompatibility of the samples. Quantity 4 x 1000 gr.